Cultural heritage is part of our everyday world. It is a view to our past and a path for our future. Culture brings people together, encourages greater understanding and contributes to the strength of a community. As the Cayman Islands continue to grow and evolve, it becomes increasingly important that we preserve our cultural heritage and maintain our national identity through the sharing of knowledge and the celebration of our unique culture. As the Cayman Islands continue to grow and evolve, it becomes increasingly important that we preserve our cultural heritage and maintain our national identity through the sharing of knowledge. Music, food, faith and sense of family are fundamental aspects of our heritage that still connect us as a people. Our past is rich with stories about the roles of mothers and fathers, the importance of family and the priority placed on church. Our forefathers were not blessed with the modern conveniences that we enjoy today but found value in and made the most of the land and sea. Although almost every old time story has a recollection of hardship, there is always a sense of appreciation and happiness. 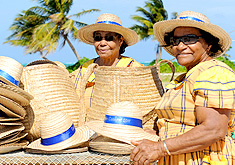 past, they help to perpetuate Caymanian heritage and culture. 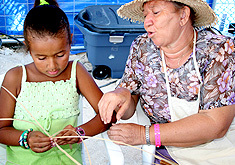 In so doing, younger generations of Caymanians and non-Caymanians learn about Caymanian life in the past and develop an appreciation for the many blessings received. It also provides an opportunity to discuss Caymanian art, literature, stories and poetry as well as discover Caymanian music through the years, thus providing an opportunity to promote Caymanian-produced music. 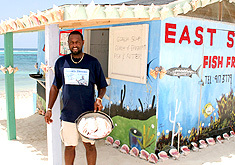 The Cayman Islands was once described as the ’Islands time forgot’; however time has managed to catch up with us, and now more than ever there is an overwhelming need to reconnect with our past. Music played an important part in both private and community events, creating a lively and festive atmosphere. Old folks tell stories of ‘kitchen dances’ held at people’s homes, garden parties, boat-launchings, weddings and weekend dances in Town Halls. Some have memories of ‘culture nights’ in George Town where the wider community got together to celebrate diversity through music, poetry and costume. cultures with genres such as country, jazz, reggae and even hip hop. Food has always been a means of bringing people together, and the tradition was to spend long hours chatting in the kitchen as a fresh, healthy meal was prepared. 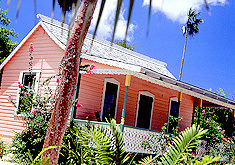 The components were never a concern as Caymanians of the past were satisfied with what was on hand. Seafood, such as turtle (our national dish), conch and fresh fish, has always been a favourite, with fruits and ground provisions (yam, cassava, bottlers, breadfruit and pumpkins) being a staple part of every meal. 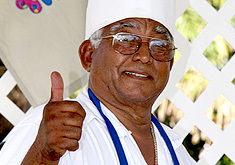 Among other culinary delights, Caymanians are known for ‘heavy cake’ (desserts made from ‘bread kind’ which are our starchy vegetables such as cassava and yams), and ‘rundown’ or stew. These favourites are still prepared in many local households and can be enjoyed by all during cultural festivals throughout the year. Back in the day, women looked after the home while men fished and maintained the grounds when they were not earning a living as seafarers. Past generations were less influenced by material possessions. Instead they valued their role within the community and the strength of their family unit. Good morals and principles were instilled in children at a very early age. Many of these values have been passed down through storytelling, ensuring that future generations understand and appreciate what our forefathers endured to get us where we are today.